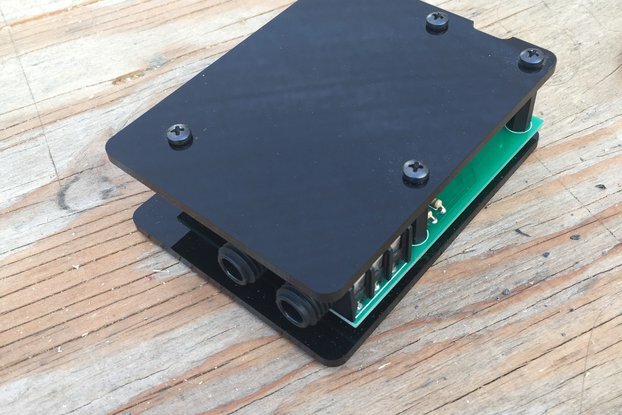 Guitar style MIDI Controller. Control synthesizers, keyboards and music software. 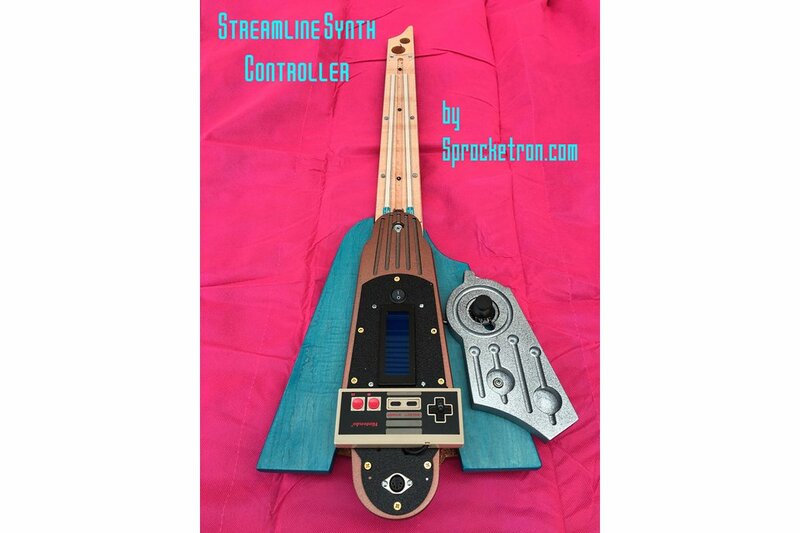 A hand crafted guitar-style midi musical instrument whose design was inspired by the Art Deco and Streamline Moderne art movements of the 1920's and 1930's, hence it's name " The Streamline Synth Controller". (We also make a synth version that produces its own sounds). Made from flamed maple and constructed like a traditional guitar. Using 2 ribbon sensors on the neck to play notes as they are touched. Use the genuine Nintendo NES gamepad controller to edit parameters such as key, octave, volume/velocity and instrument sound bank. Includes a joystick for pitch bending and an LCD display. Operates on 9 volt battery. 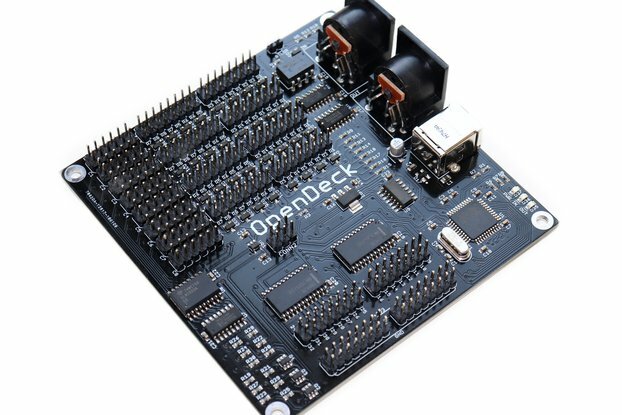 Can be used with any software synth, or music software such as Max/MSP or Ableton, and can be used with any MIDI capable keyboard or synthesizer module. *Please note that our new website is Axetronic.com, no longer Sprocketron.com as seen in the images. We are located on Long Island, New York. This item will ship for free in the US. This item will be shipped via USPS priority shipping and will include insurance and tracking.